"Working with Puerto Aventuras Rentals was great! The vacation homes are beautiful and booking was very easy. I'd definitely recommend P..."
"One of the best condos at chac hal al Left on 07/18/2012 for a stay in July 2012 This is by far one of the best condos I have ..."
"Fun in the sun! Left on 01/19/2012 for a stay in December 2011 The property is excellent. Fantastic location with super views an..."
Welcome to Puerto Aventuras Rentals. 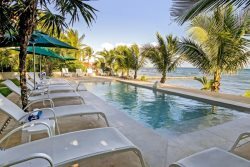 We are the premier choice for villa vacation reservations, luxury beachfront homes for rent, holiday villas and condos in the Riviera Maya Mexico. 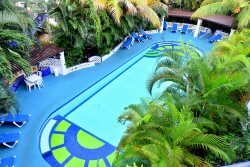 5 star vacation rentals located on the beach, near restaurants and shops. With personalized concierge service we can assist you with Wedding villas and corporate retreat reservations, airport transfers, chef services, dining options, spa appointments, world class scuba diving, horseback riding, golf, fishing, boat charter, eco parks, and Mayan ruin tours of Chichen Itza, Tulum and much more!! 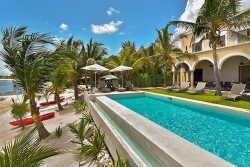 Our beachfront villa rental service include the ever popular destinations, Playa del Carmen, Playacar, Akumal, Soliman Bay, and Tulum Mexico. We're secured, trusted, and highly recommended Contact us now !! We are always ready to offer you the highest level of expertise and help you create a memorable vacation experience. We will match your vacation requirements with the best rental rates and most suitable accommodations. Vacation Rentals you can Trust. Caribbean Realty professional Real Estate Agents specialize in Riviera Maya properties for sale.